We will continually keep you up to date. Here you have the opportunity to read our current press releases and learn about new products, interesting services and current events. Active in 150 countries throughout the world, the international Häfele Group increased its net sales from 1.375 to 1.397 billion Euro, 80% of which were generated outside of Germany. Imagine an office space that was completely centered around the person occupying it, putting them in a state of connectivity and focus to achieve everything they’ve wanted to complete in a day’s work. To some, a closet is simply a place where their clothes hang and their shoes sit. Of course, you are not one of those people. And neither is Häfele America Co. The perfect length to grasp. The superb design to complement cabinets and drawers. The unique, one-of-a-kind finish. The tactile weight of perfectly formed metal in your hands. When one cabinet opens … it should amaze. And thanks to Häfele America Co., the leading supplier of furniture and architectural components, it will. The secret to conquering laundry is simple: organization. Being able to have everything you need within reach to treat stains, store detergent, separate clothing, hang items to dry and iron clothes. The innovation and amazing functions which can be incorporated into today’s projects through functional hardware are downright astounding. Whether the choice is a vintage Syrah or a young Riesling you can count on it being organized with Häfele America Co.’s three all-new storage solutions. Kitchens have an expiration date. And while there’s absolutely nothing wrong with a copper rooster cake mold on a wall, one day you’ll see it and know it’s time for a change. We’ve all experienced it: a sense of awe and wonder at something we’ve witnessed but don’t believe to be real. As if it were magic. Bring style and functionality to the bath, vanity or closet area with Häfele’s Multi-Dimensional Mirror. This finished consumer product adds value to designs with unbeatable style and wow-inspiring functions. Every design you create—no matter the size or scope—has the opportunity to change how people enjoy, live in and thrive in their homes. We’re your partner in all this and more. Success in the hospitality industry is all about anticipating the needs of your guests, providing for their unparalleled comfort and making their time with you as tranquil as possible. We took everything Amerock had to offer and distilled it into a select offering builders, designs and owners will all love. Building the perfect office—one that’s more than the sum of its parts—still takes all the right parts and components. Laundry. Meet your match. The all-new Hailo Laundry Area from Häfele offers a place to store, dry and iron laundry in one convenient, organized space. As the craftsman, you’re always thinking about current and future projects and products that will give your customers the end result they’re looking for. Every opening of a cabinet is a chance to innovate. And IWF 2018 attendees will discover all this and more with Häfele America Co. The humble dowel has been a mainstay of woodworking for decades. And while its reliability—whether dry or glued—has rarely been questioned. Not to get all new-agey on you, but each of us is the sum of our experiences, knowledge and backgrounds. Well, the same goes for closets. We describe Häfele’s Loox LED Lighting System in three simple terms—smart, easy and convenient. Bring Your Craftsmanship and Imagination. Our Hardware Can Handle the Rest. Corserva Announces Reseller and Integration Partnership with Häfele America Co.
Hotels and resorts gain architecturally designed locking systems with embedded wireless technology supported by nationwide installation and support. Those know that design and specification excellence only comes from hardware and components which can keep up with and anticipate uses and needs while delivering where it counts: performance and function. True innovation in the closet space comes from products which allow designers and installers the ability to wow their clients. Today’s hospitality guests want—and deserve—more. That means higher quality room fittings and other complementary appointments. Nagold-based furniture and hardware fittings specialist increases revenue by 4.9 percent. The international Häfele Group for hardware technology and electronic access control systems finished 2017 with total revenue of 1.375 billion Euro. Up until now, leveling cabinetry has been either an uncomfortable mix of shims or adjustable cabinet feet and a level—and some exhausting gymnastics necessary to make it all work. Give your designs the perfect touch in the bath, vanity or closet areas with Häfele’s Multi-Dimensional Mirror. The 21 C Wall Standard System offers versatile and unique storage capabilities in any space. With each passing year more innovative ideas emerge from Häfele America Co., the leading supplier of furniture and architectural components. Offices today are often much more a state of mind than always a physical space—although the physical embodiment of the office is still important too. Where does inspiration come from? Better yet, where does it all go? When it comes to finding that exactly right piece of decorative hardware, look to Häfele. Occasionally when designing a space, ideas just come to you. Other times you have to chase them down in earnest. Closets are no longer meant to remain behind closed doors. Especially when they look this good. Anyone can inhabit a space. That’s easy. Here at Häfele America Co. we choose to take a different approach with the products we offer. New Building. New Chapter. New Opening. 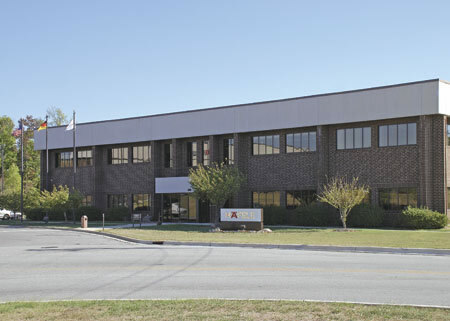 A new chapter is in the books for Häfele America Co. with the completion of their newly expanded headquarters in Archdale, NC—the location they’ve occupied since 1989. Your guests’ access. Your guests’ security. Your guests’ peace of mind. Our hardware. The all-new Dialock DT 750 is a fully networkable door lock solution for hotel rooms, common areas, business offices and more. Whatever Your Hotel Project Needs, We Have It! From concept to completion, Häfele is your one-stop-shop for all hospitality needs with our all-new International Hotel Assortment. No matter how weary they are from a day of travel, every hotel guest spends a few minutes checking the fit and finish of their accommodations as soon as they arrive in room. In its simplest form a hotel room is a bed to sleep in behind a securely closed door. But what really differentiates one property from another are the details and functionality surrounding that comfy bed. The hotel room bath and vanity area have been due for an upgrade for quite some time. Well, we’ve got four upgrades for you in one unique package: Häfele’s Multi-Dimensional Bathroom Mirror. Whether based in the home or housed within commercial buildings, work spaces are changing. One desk—or cubicle design—for all simply doesn’t cut it any more. Hafele is always thinking about your individual project and what you need to get the job done. Our goal is to provide you with everything you need, from the large pantry pullout to the safety glasses that protect your eyes. When it comes to innovation in the area of connectors and shelf pins, people are used to only seeing subtle changes in the evolution of how things are done. Well, bring on the revolution. In many instances, finding the right piece of decorative hardware is about having options. That means different handles available in different finishes and a variety of sizes. The all-new Coloma Closet & Storage System is an Italian-styled, concealed closet system which makes clothes and casework appear to float. To create a memorable culinary experience one needs quality ingredients, preparation and the talent to put it all together. Well, the same can be said about building the kitchen itself. Anyone can add a pretty door on a cabinet box or incorporate a uniquely styled drawer front into their designs. Although when it comes to adding the actual “wow” in the kitchen, look beyond those cabinet doors and drawer fronts to the functional hardware. Loox LED Lighting from Häfele. It’s truly plug and play. Simply select your preferred lighting style, add a driver and switching option and then find your nearest outlet. “The difference between a good project and a great project is in the details―the craftsmanship of a hinge, handle or pull-out,” said Paul K. Smith, president of Häfele America Co. The 2017 version of The Complete Häfele for Architectural Hardware is available now. Contains hundreds of new products and product updates. Eight sections with over 500 pages of material. The opportunity for designers and specifiers to put light practically anywhere and for any purpose has arrived thanks to Häfele America Co., a leader in LED lighting. Safety products such as bath and shower grab bars, seats and accessories need not be dull. Häfele America Co., offers a wide assortment of HEWI products. Some simply see a rough opening. Here at Häfele America Co. we see a chance for hardware greatness. The latest in LED lighting, decorative and functional hardware and architectural sliding has a new home: the all-new New York City showroom for Häfele America Co.
Every opening is an opportunity. Whether it’s simple cabinetry and casework or something more, Häfele America Co. has brought art and innovation to the act of opening and closing a door—no matter the space. Reliable, efficient lighting has become an integral part of today’s kitchens, baths and closets. A must have at the top of homeowner’s lists regardless of whether it’s a remodel or new build. One of our quests is to make the inside of cabinets and drawers just as beautiful and functional as the exterior. The selection of functional hardware on display at KBIS 2017 allows designers to extend their vision beyond cabinet doors and drawer fronts. And the finishing touch to each of these should be knobs, handles and pulls from Häfele America Co., one of America’s leading suppliers of decorative and architectural hardware components. Your Stuff Isn’t the Problem. Where to Store it is. Häfele Has the Answer. It’s only natural for us to collect gadgets and gizmos to make working in the kitchen more efficient. The issues arise when one too many “As Seen on TV” contraptions upset the delicate balance of things. Enter the ENGAGE closet and storage system. A new, modular storage system from Häfele America Co., a leader in organizational systems and furniture fittings, ENGAGE is designed to stylishly fit all of your storage needs. A common refrain of people fascinated by the innovation of a product is to ask, “What will they think of next?” The answer - according to Häfele America Co., will be demonstrated at the 2017 KBIS show in Orlando, Florida. The Complete Häfele is used every day by Häfele customers to find the products they need to start a project, execute their design vision or simply run their business. The latest edition is available now. Having occupied the same offices in Archdale, NC since 1989, it was time for a refresh and expansion that will position the company for today’s market and beyond. For many of us, our needs are simple: If we put something on a shelf we need it to stay there until we pick it back up again. We hear you, lovers of durable, hearty shelving hardware solutions. The ENGAGE Closet System: Easy to Install. Easy for Homeowners to Love. We feel your pain, closet companies. Having to hunt for parts and components like you’re building an erector set can be inefficient and time consuming. We’re all a little power hungry these days. Mobile devices, tablets and every other battery-powered gizmo needs power to keep up with our increasingly busy lives. Kitchen solutions from Häfele deliver on quality and strength. Reduce call backs with sturdy, European designed and made components. The soft close. The push-to-open. Over travel. Full extension. Even the Wizard of Oz can't pull all these off without reinforcements. Many in the woodworking community have often been reluctant to integrate lighting into their designs—whether due to the complexity of the systems involved or previous unpleasant experiences. We humans have been opening and closing doors for hundreds of years. It’s true. And while the door materials may have evolved, the way it swings has rarely been changed. Until now. Häfele brings the latest in hardware, kitchen organization and more to this year’s IWF. Add light to any design with Häfele’s Loox LED lighting system. And see our new shelving options.GE closet assortment. Many people think of a warehouse simply as a big, enclosed space where things are stored. But to Häfele America Co., a warehouse represents much, much more. At Häfele America Co., one of America’s leading suppliers of architectural and furniture hardware components, we choose to instead put our focus and motivation on how that door opens. Drawer slide technology has come a long way from the under mount wood runners you may still find on an antique chest of drawers. Nowadays customers demand the best in quality, functionality and performance. The international Häfele Group for hardware technology and electronic access control systems ended 2015 with a satisfyingly positive result. Normally opening and closing a cabinet would be so, well, open and shut. Häfele America Co. rethinks the process. Think about your current closet. And now think about what your closet could be. We already have and it’s called Engage. A new and completely customizable storage system from Hafele. Light and dark. Yin and yang. Black and white. “Is it a home or is it something more?" Kitchen drawers and cabinets can be scary, scary places. Beyond the wide variety of utensils, measuring cups and sharp cutlery, disorganization is a rampant issue. When asked about their ideal kitchen people often begin with what you can see and touch – the granite countertops, the stainless steel appliances and so on. Kitchen and bath designers know that the right piece of decorative hardware can make or break a design. The speed at which LED lighting has become an integral part of our daily lives is astounding. Sumptuous textures and finely engineered mechanicals basked in brilliant task and ambient light. Filled with shirts, blouses, trousers, sunglasses, jewelry and lingerie? Häfele America Co., will participate in the annual KBIS 2016 Kitchen and Bath Industry Show (KBIS) January 19 through 21 in Las Vegas, Nevada. Häfele America Co. announces the introduction of a newly redesigned website that offers better searching and more comprehensive product information. Häfele America Co., a leading supplier of premium hardware solutions, is pleased to announce the introduction of the 21C Storage System, which offers the ultimate in versatility, aesthetics and load capabilities for storage and display needs. Loox inspires creativity with range of brightness, temperature and switching options. Our third-generation technology offers cutting-edge aesthetics and expanded applications. Häfele America Co. will be showcasing its latest state-of-the-art functional hardware during the 2014 International Woodworking Fair August 20 through 23 in Atlanta, Georgia. Häfele America Co. is pleased to announce the expanded Loox family of LED lighting to provide brighter lights, higher quality technology and more solutions for cabinetry lighting. Häfele America Co. will demonstrate how innovative hardware products, smart design and quality craftsmanship can create highly functional kitchens. Häfele America Co. is pleased to announce its new distribution partnership with Grass America, a quality manufacturer of functional hardware and accessories for the woodworking industries.